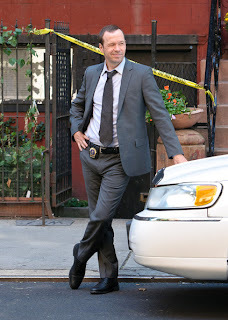 Check out some new photos on Donnie on the set of Blue Blues from Zimbio and I Need My Fix. Danny tweeted this photo saying "BH's helping fight breast cancer, we got some fundraising to do". Joey shared this cute video of Griffin identifying a New Kids on the Block song being played at a store.